New and modern rooms, very spacious and comfortable. The fireplace is an added bonus that makes it very cozy. Amazing views, very close to the village centre. Parking on the street easy accessible. Very nice decorated room! Amazing view. Very comfortable bed. Cozy breakfast area. Very good location. Breathtaking views from our apartment and beautiful finishes. The room was really well equiped and the hosts are very helpful and friendly. Arachova is a very charming town and is a mere 6km from ancient Delphi. The surrounding area has so much to offer, even in the summer! There are aparently hundreds of Mountain biking routs and hiking trails in the area. We would love to experience the winter charm of this skiing destination one day! The place is beautiful, sparkling clean as described. 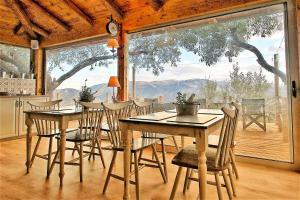 Situated in another side of the Main Street which is quite but very accessible to other spots. Everything was perfect! Stunning view. Clean room, cosy, very comfortable sofa and bed. Really friendly people. Very close to the centre. Definitely will come back! The place is amazing. Awesome mountain view, very nice Arachova village. Spacious apartments, very comfy bed, good value for money. Lock in a great price for Almond House Suites Arachova – rated 9.3 by recent guests! One of our best sellers in Arachova! Almond House Suites Arachova offers elegantly decorated suites with fireplace in Arachova, 6.8 mi from Delfoi. Free WiFi access is provided throughout. Offering views over the lush surroundings, the suites are fitted with parquet floors, beamed ceilings and modern furnishings. A mini-bar and a flat-screen TV with satellite channels is available. 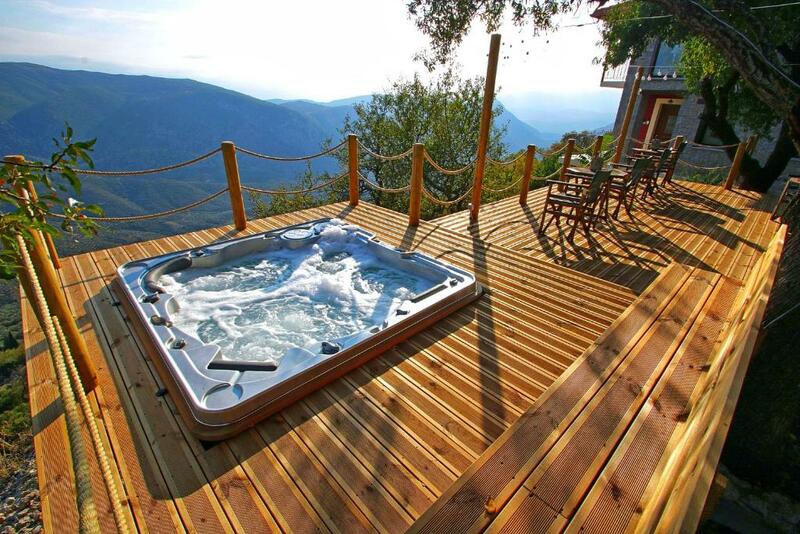 An outdoor, shared hot tub is featured on site and can be used at an extra charge. 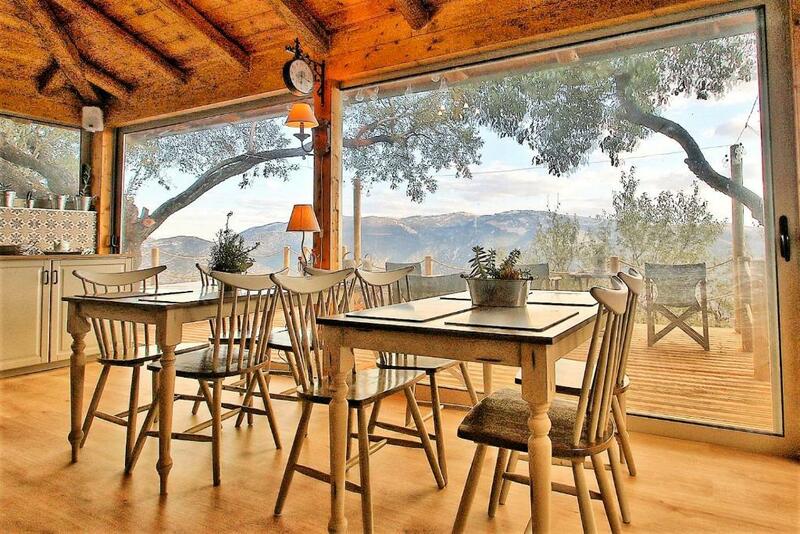 A bicycle rental service is available at this property and skiing can be enjoyed nearby. 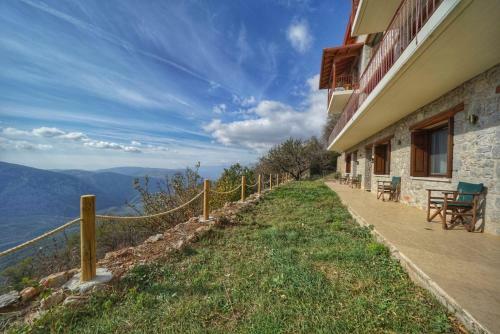 Hermis Ski Elevator is 14 mi from Almond House Suites Arachova. 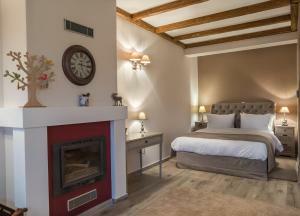 This is our guests' favorite part of Arachova, according to independent reviews. 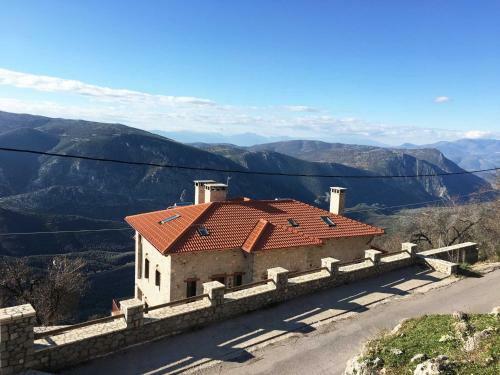 This property is also rated for the best value in Arachova! Guests are getting more for their money when compared to other properties in this city. 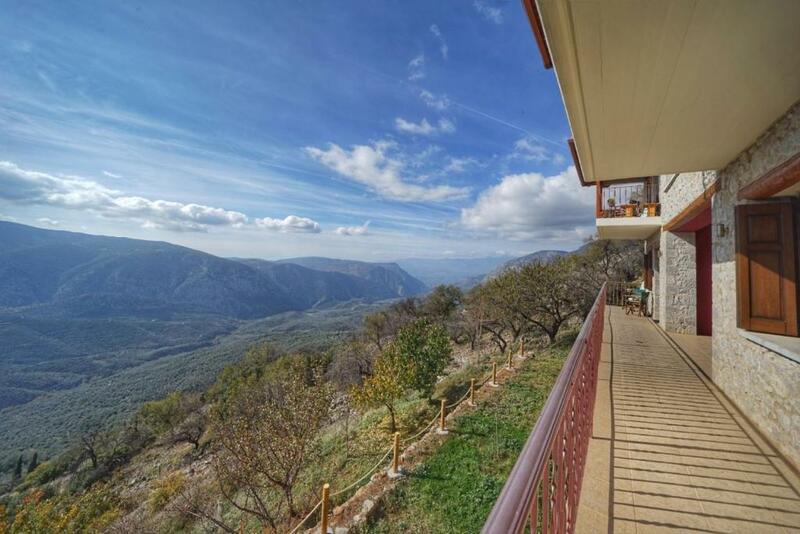 뀐 Located in the top-rated area in Arachova, this property has an excellent location score of 9.3! 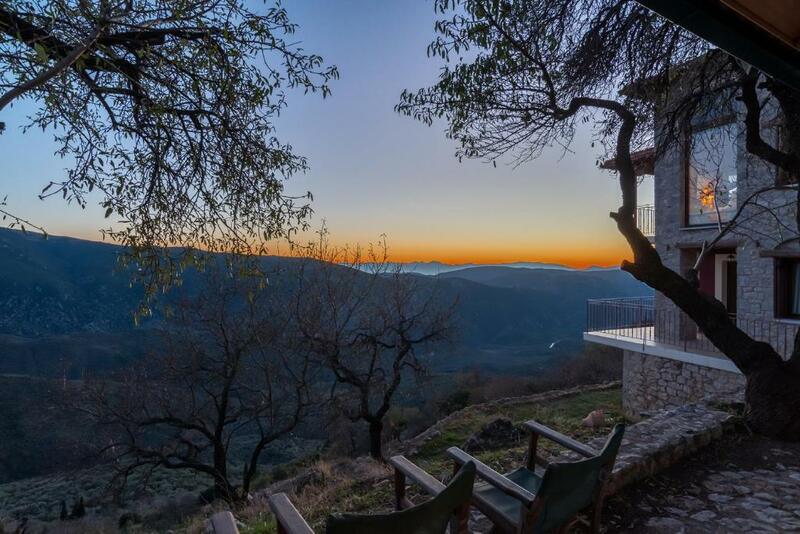 When would you like to stay at Almond House Suites Arachova? This suite has a balcony, seating area and tile/marble floor. Welcome to our home! The luxury country style appartmens are newly made with lots of love and respect to the soroubnding nature! For people who love to be in Arachova and in the same moment to enjoy the tranwuillity of the mother nature! Τhe next neighbour is ca 200 meteres far away! 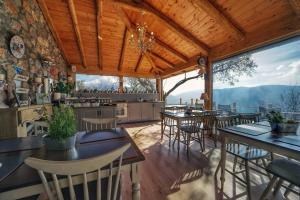 House Rules Almond House Suites Arachova takes special requests – add in the next step! Almond House Suites Arachova accepts these cards and reserves the right to temporarily hold an amount prior to arrival. Guests need be quiet between 3:00 PM and 6:00 PM. Please note that the outdoor hot tub operates on a seasonal basis and can be used from spring to autumn, weather permitting. Please inform Almond House Suites Arachova of your expected arrival time in advance. You can use the Special Requests box when booking, or contact the property directly using the contact details in your confirmation. As it's a very rustic area, more detail in the cleanliness should be given as many insects ( spiders etc) were found in our room. Also it would be great if bathrobes could be provided. Would like more vegan options. Otherwise it was great. Poor Hotel amenities + the fireplace didn't work as intended (we had to leave a window open in order not to have smoke inside the room). It’s a big room with great view! Tricky road from town to get to. Pillows could have been more comfortable and only one each Nothing else! We made a mistake in assuming that breakfast was included in our stay but this is only offered in high season during winter time.